A fantastic book for beginners to get started playing in minutes! Fun and familiar songs designed for the Jumbie Jam that will fill your home with the sounds of Christmas on the Caribbean Islands. 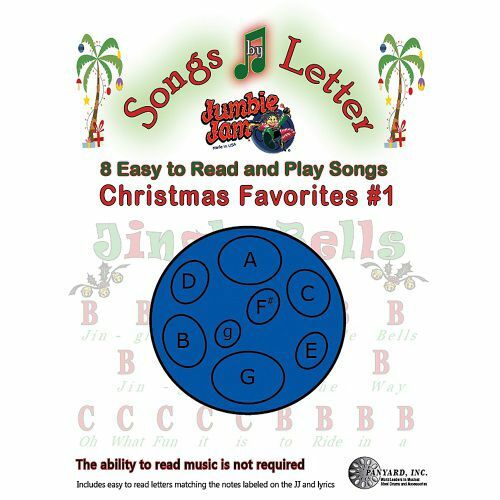 You dont have to know how to read music to use this beginners song book; the notes match the note letters marked on the Jumbie Jam. Each note is printed in large, easy-to-read letters for easy reading. Great for family music-making and can be used to play other instruments so everyone can jam together! It contains eight songs; Jingle Bells, Up on the House Top, Deck the Halls, Do You Hear What I Hear, Rudolph the Red-Nosed Reindeer, Frosty the Snowman, Joy to the World, and Silent Night.